At least 24 have been reported dead, almost 900 missing, and over 100 hospitalized as destructive, fast-moving wildfires continue to sweep across Northern California. The largest of nearly a dozen fires began to spread on Sunday through Sonoma, Napa and Medocino county, where winds exceeding 50 mph and dry conditions ignited the blaze. As firefighters work to contain wildfires burning more than 160,000 acres in California, Direct Relief has offered emergency assistance to California’s Office of Emergency Services, the Napa County Public Health Department, and more than 40 health centers and clinics in the affected region. On Monday, Oct. 9 Direct Relief sent a shipment of N95 respiratory masks to Lake County Public Health Department to help residents filter out particulates and ash in the air. Additional emergency medical supplies were delivered Tuesday night to Sonoma Public Health for wildfire evacuees. Included in the shipment was an Emergency Health Kit designed to treat up to 100 patients for three to five days. The kit contains key items like antibiotics, wound care supplies and medications for chronic diseases. Personal care packs were also included in the shipment for communities who remain displaced due to the deadly fires. The aid arrived at a crucial time as mandatory evacuations remain in effect and many shelters have reached full capacity, according to Sonoma Public Health. Direct Relief staff will continue to deliver much-needed medicines and supplies to health clinics and evacuation centers throughout the week. As a longstanding member of the California Business Operations Center, Direct Relief will continue to distribute vital medical resources during this emergency and ensure coordination with official fire response efforts. 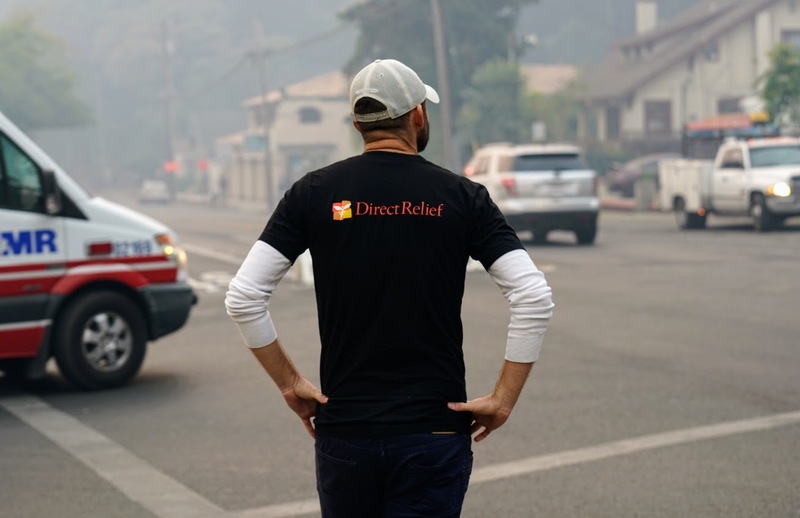 Direct Relief maintains an inventory of fire-related items – N-95 particulate masks, inhalers, nebulizers and personal care items – for wildfire events, which will remain available to partners upon request. Check back for additional updates as the response continues to unfold.